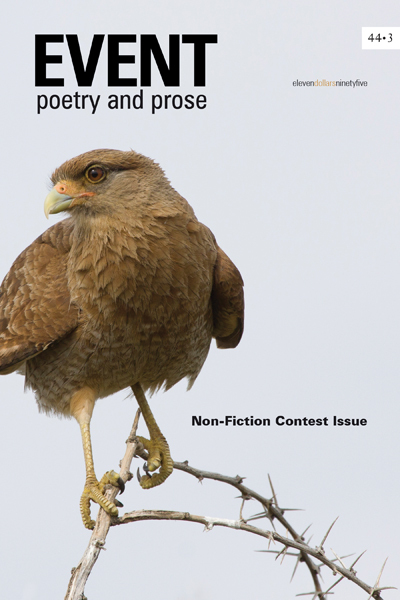 Say hello to another great Non-Fiction Contest issue! EVENT 44/3 features 2015 winners Gena Ellett and Hilary Peach, plus an introductory essay from guest judge Andrew Westoll. 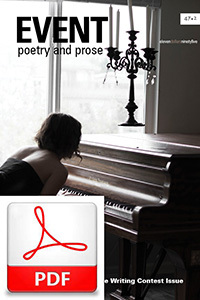 That’s not all: read on for a full list of the fiction, poetry and reviews stuffed in this awesome issue.